Wondering which varieties of rice are healthiest for you? 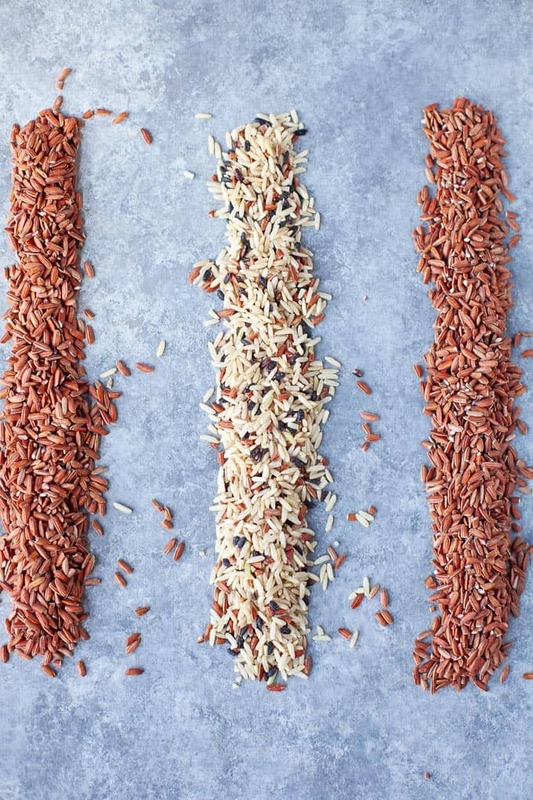 We’re dishing all the deets on rice nutrition, rice varieties and rice cooking techniques. Aka ALL THE THINGS RICE. This post is sponsored by Lundberg Family Farms. Thanks for supporting the brands that make TFD possible. As always, opinions are my own! Rice is one of the oldest and most worldly culinary staples there is. Originally cultivated more than 5,000 years ago in China, rice is now life-sustaining for 2/3 of the world’s population. That seriously makes me want to do a bow down to the rice grain gods as well as all the rice farmers out there who work tirelessly so we can be nourished. It also makes me upset that our current diet culture is fear mongering grains like rice left and right. We should not be demonizing something that has been a staple for cultures all across the globe for thousands and thousands of years. We should be grateful for the nourishment it provides us. 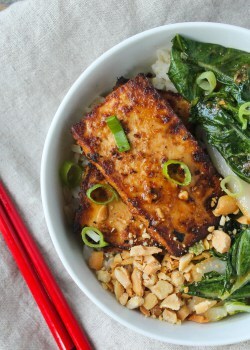 Today’s blog post is an ode to the OG ancient grain, rice. We’ll cover rice nutrition, different varieties of rice, as well as some rice cooking techniques. Basically all the things rice. “But isn’t rice bad for me?” But white rice is fattening, right?” These are the kind of questions that I hear all the time related to rice (thanks keto and Whole 30). Short answer no, and no. Let’s talk about how nutritious rice actually is. Rice provides more than 15 essential vitamins and minerals, including folic acid, B vitamins, potassium, magnesium, selenium, fiber, iron and zinc. One cup of whole grain rice (like brown, wild, red or black) provides two of the three recommended daily servings of whole grains. One cup of enriched white rice has 23% of the recommended daily value of folic acid, a B vitamin that is essential for pregnant women and women of childbearing age as it helps to protect against birth defects. Rice is gluten-free making it an appropriate and safe grain for those with celiac disease or an identified gluten sensitivity or intolerance. 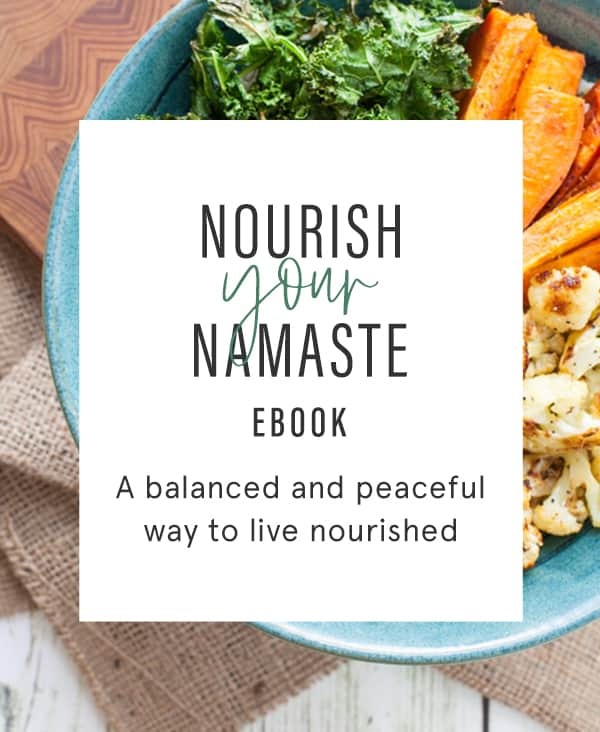 As a complex carbohydrate, rice fuels our body and brain and is slowly digested, keeping us fuller longer and providing a long-lasting energy boost. Research shows eating rice increases levels of serotonin, that feel-good chemical that helps boost our mood and provide satisfaction. Rice is a source of carbohydrate, not fat, so I’m not sure where this belief of white rice being fattening comes from. I suppose it comes from the demonization of carbohydrates. 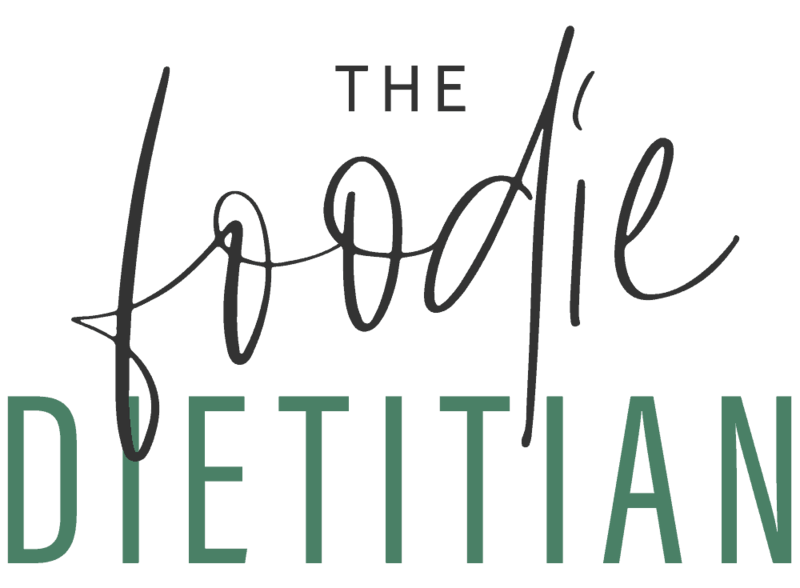 Weight is a complex subject matter with a myriad of different contributing factors at play so we cannot point to one food as a cause of weight gain. And the research on weight and white rice is inconclusive (no surprise there given the complexity of weight). 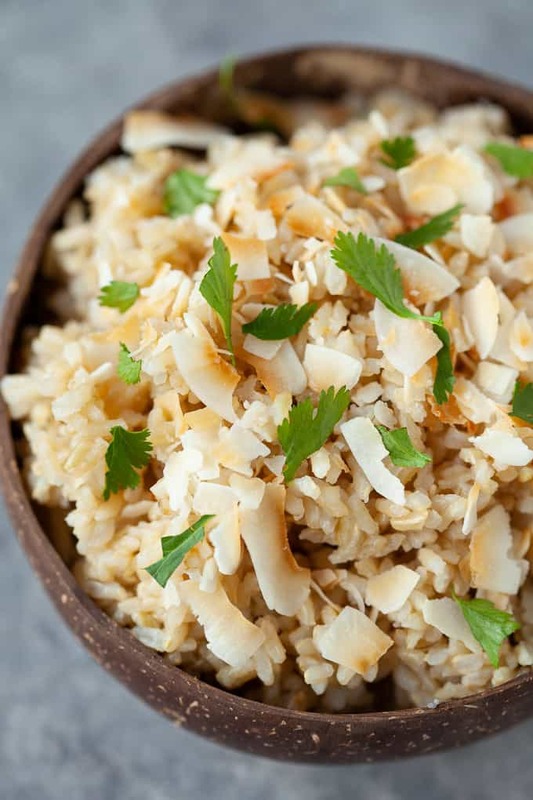 Rice is a good source of resistant starch, a type of prebiotic fiber that resists digestion in the small intestine and ferments in the colon, helping to fuel probiotics (good gut bacteria) and modulate the gut microbiome. 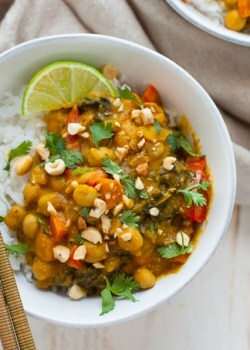 In order to reap the resistant starch benefits, the rice must be cooked first and then cooled before eating. Rice salad, anyone?! Research shows that people who eat rice tend to have healthier diets (and consume more fruits and vegetables and higher amounts of nutrients) than those who don’t eat rice. Studies also show that rice eaters have 34% reduced risk of high blood pressure. So maybe now you’re on the rice train with me but you’re still a little unsure about white rice. It’s sad how as a culture we’ve demonized white foods when in reality many white foods like potatoes, mushrooms, rice, turnips, and yogurt are packed with nutrition. So let’s include white on that rainbow of colors to eat from, k? 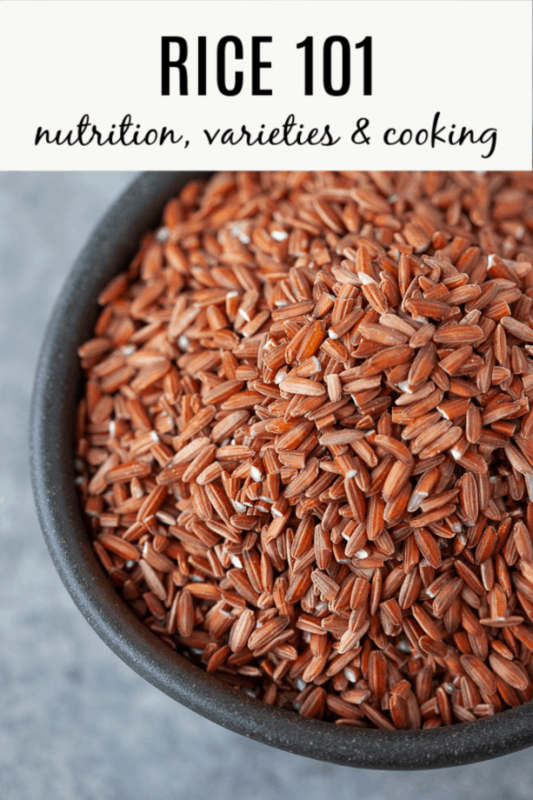 There are nutritional differences between brown rice and white rice but both contain nutrition benefits and both provide specific health benefits for different populations. 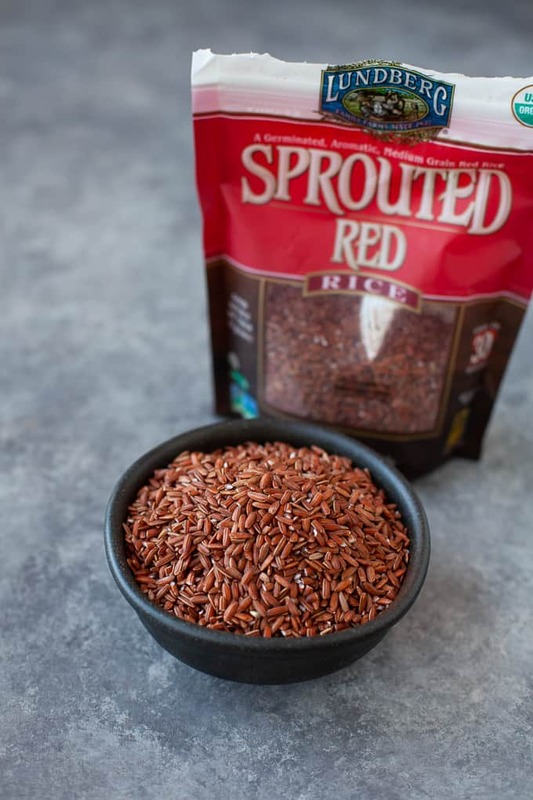 A rice grain has four parts to it – the hull (the tough outer protective layer), the bran and germ (which are packed with fiber, vitamins, minerals and antioxidants) and the endosperm, which is rich in carbohydrates. Brown rice contains the whole grain (minus the hull), the bran, germ and endosperm, whereas white rice only contains the endosperm. This is why brown rice is higher in fiber than white rice. Now before you go assuming that white rice is void of any nutritional value, think again. 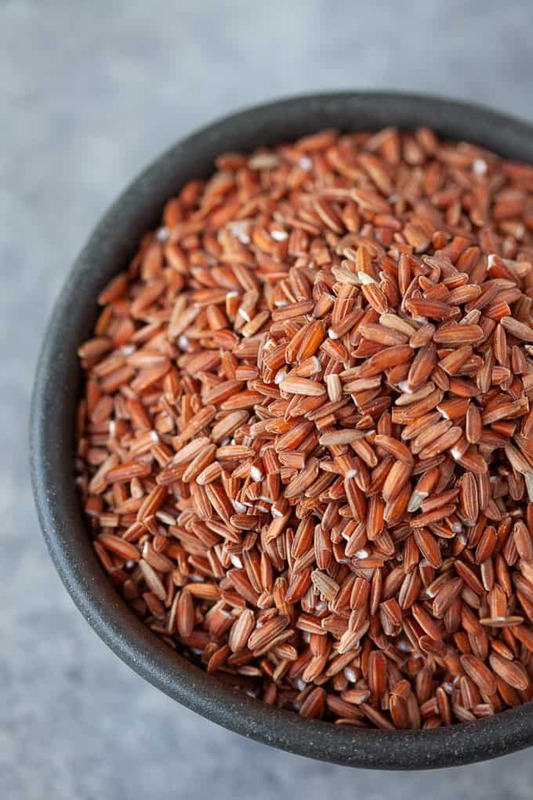 Most of the rice cultivated in the U.S. is enriched with thiamin, niacin, iron and folic acid to replace some of the nutrients lost in the milling process. In fact, white rice contains 2x the folic acid of brown rice, which is important for expecting Mommas! 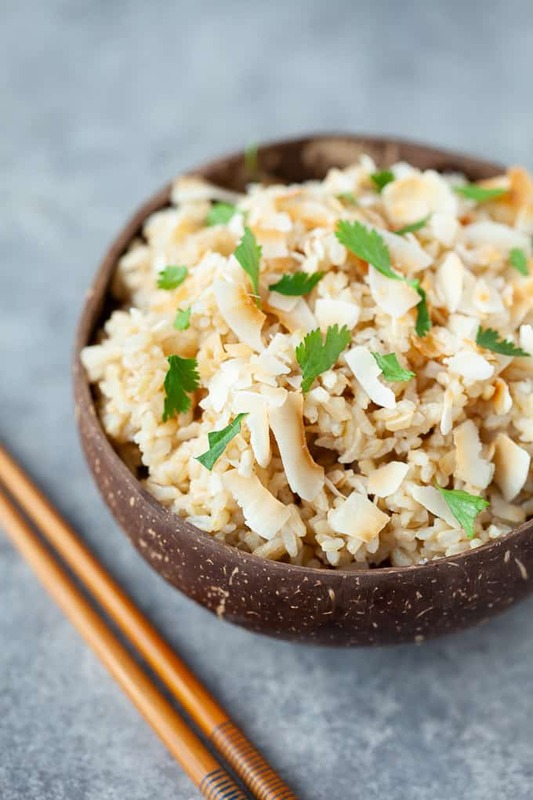 Because of its low fiber content, white rice is easier to digest and may be a more appropriate choice for someone with digestive issues that are exacerbated by a high fiber diet. Bottom line? White rice and brown rice both have a place in our diets and we don’t need to attach morality (good vs. bad) to either variety. They both serve a purpose! TL;DR: Short-grain is ideal for sticky rice and desserts. Medium-grain is ideal for risotto and paella. Long-grain is ideal for pilafs, salads, soups, and stir-fries. Most people think you can only cook rice on the stovetop or in a rice cooker but there are many different methods for cooking rice. The ratio of liquid to rice as well as cooking times will vary depending on the variety so always check the cooking instructions on the package first. Add a splash of olive oil or pat of butter to your rice when cooking to ensure the grains will be well separated and not stick together. Quickly toast the rice in the pan with oil before adding liquid to impart a subtle nutty flavor boost. Salt the water like you would when making pasta. Rice needs some flavor love too! Purchase frozen rice or ready-to-heat rice packages for a time save! We are all about time efficiencies in our house when it comes to weeknight meals and these products make it easy to get a healthy grain on the table. Check out Lundberg Family Farms’ Ready to Heat line for a quick and easy side dish! Rice is an incredible grain with a rich history providing nourishment to over half of the world’s population. All varieties of rice provide us nutrition so vary it up and choose the varieties that are most satisfying and satiating to you. Tell me, what is your favorite rice variety? Is there a variety you’re looking forward to trying next? 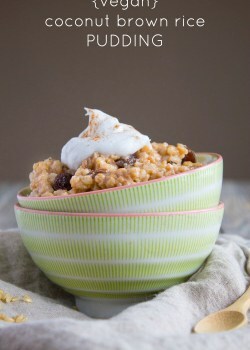 For more rice recipe inspiration, check out the recipes below! Wow, that red rice is GORGEOUS!! Can’t wait to try it. My favorite is the Lundberg wild rice blend. It’s soooo good! It’s crazy to think that rice is sometimes thought of as a “stay away” food. I will never! Yes to RICE. Thanks for breaking down the rice facts here! I’m a huge fan of rice but usually gravitate to brown. Loved learning about all these other varieties! Pinned this helpful guide for later! 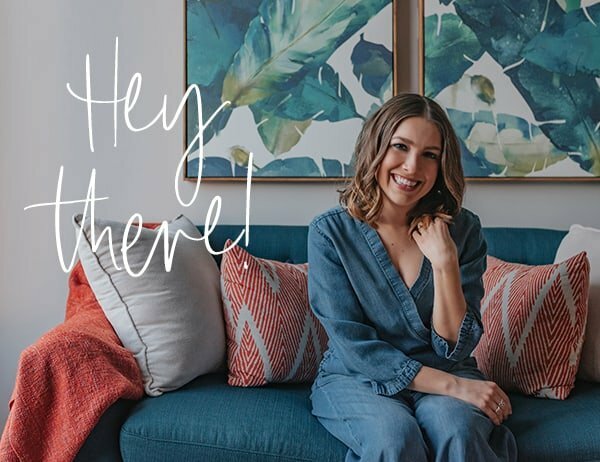 And PS: Love your new look on the site!